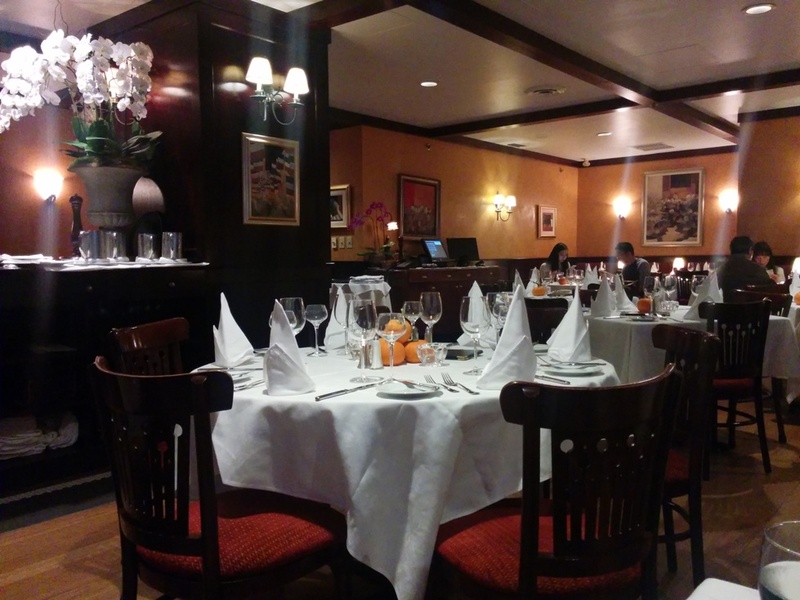 We were dining at 6pm so the restaurant was still quite empty when we arrived. Some warm bread with butter to start. 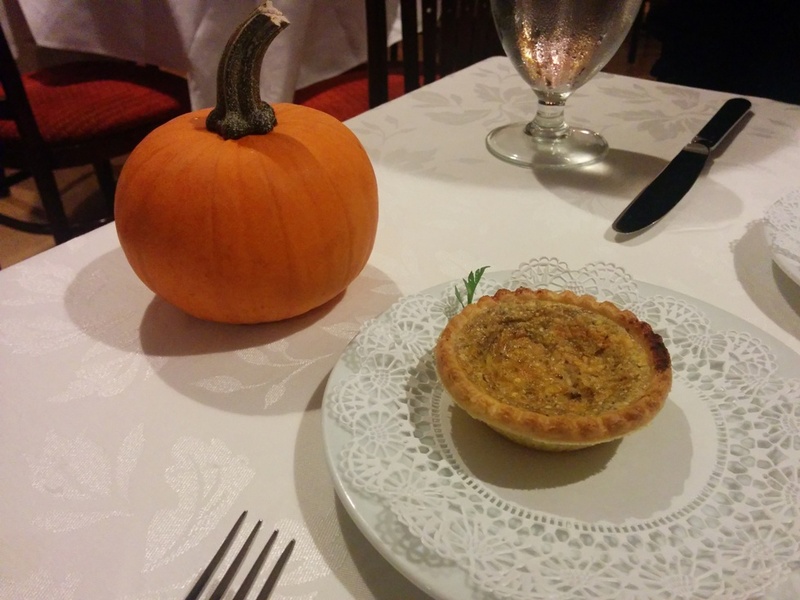 Since this was in October, every table was decorated with a small pumpkin. We were served an amuse bouche which was a Mushroom Tart. Sorry not quite sure what was in it but it was good! So savoury and flaky! 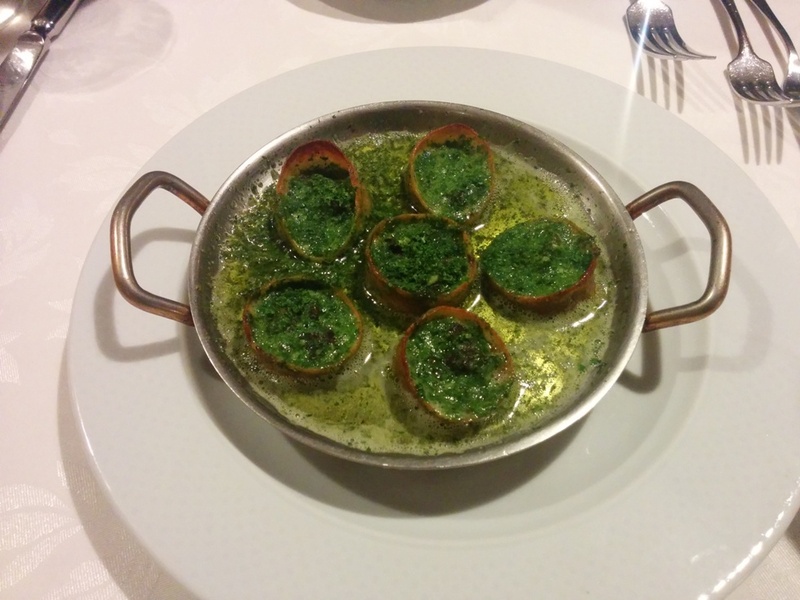 For our appy, we ordered Escargots Maison with snails baked in a pastry shell and loads of garlic butter. 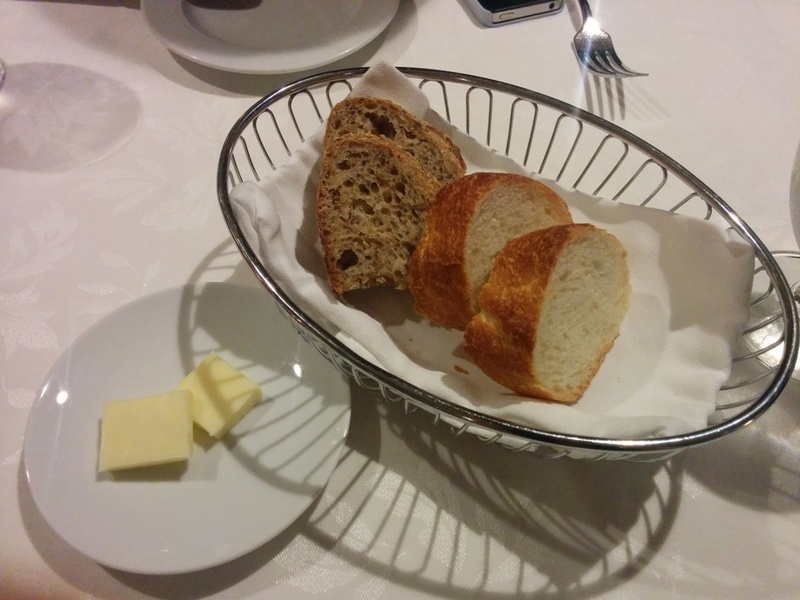 Our server brought us extra bread so that we could use use it to soak up all the buttery goodness. The snails quite big and the crunch of the pastry shell was a nice touch. 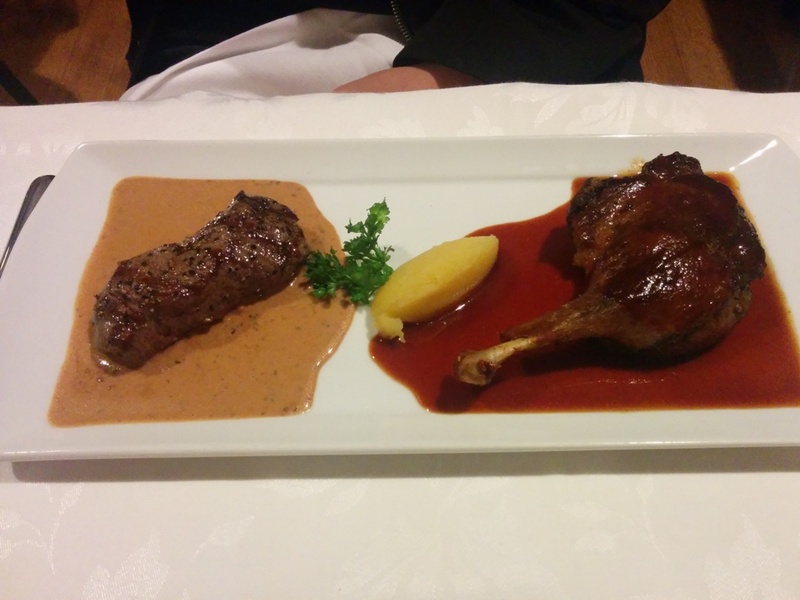 This was the Duo of New Zealand Venison and Duck Confit with black truffle cream sauce and citrus reduction. The venison was cooked to a medium rare and it was very soft! The flavour was a bit gamey though. The duck fell off the bone easily but I didn’t really like the citrus reduction. The sides were on a separate plate since it would probably be too crowded for the main plate. 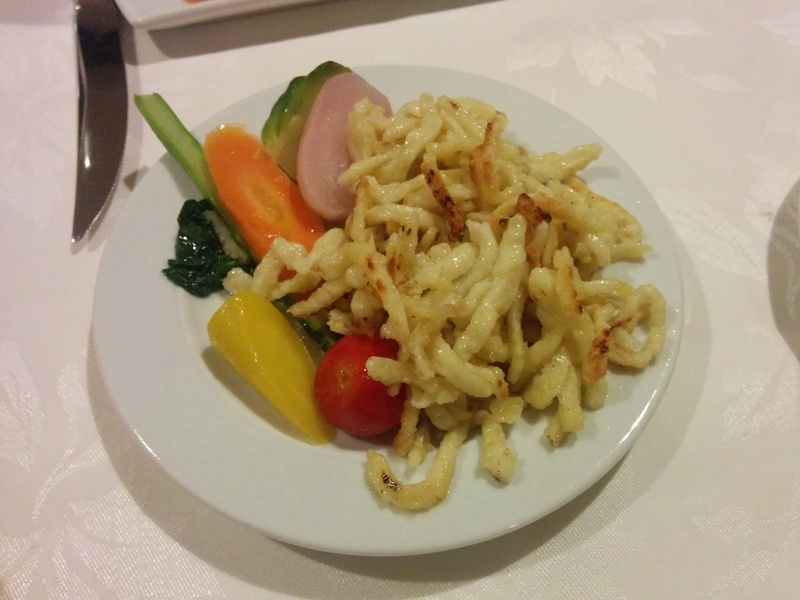 Here we have spaetzle and some veggies. I like how they used spaetzle as a side since I don’t see it too often. I had a really hard time choosing an entree! 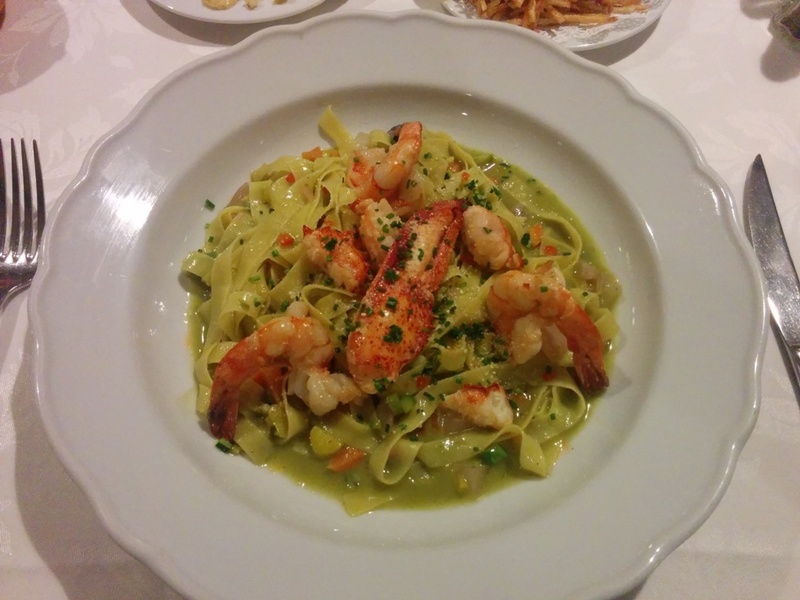 It’s not like I can come back often to try the other dishes but I really wanted to eat pasta so I picked the Fresh Fettucine with Lobster Meat and Grilled Tiger Prawns served with a Brunoise of Vegetables, Olive Oil and Fresh Basil. I was surprised at the large chunks of fresh lobster meat though! There was also plenty of vegetables mixed into the pasta to make this feel healthier. I thought I would be getting a creamier pasta though. Clearly I did not understand the description. The portion was bigger than I expected but the fettucine noodles were thin and broke quite easily on me. 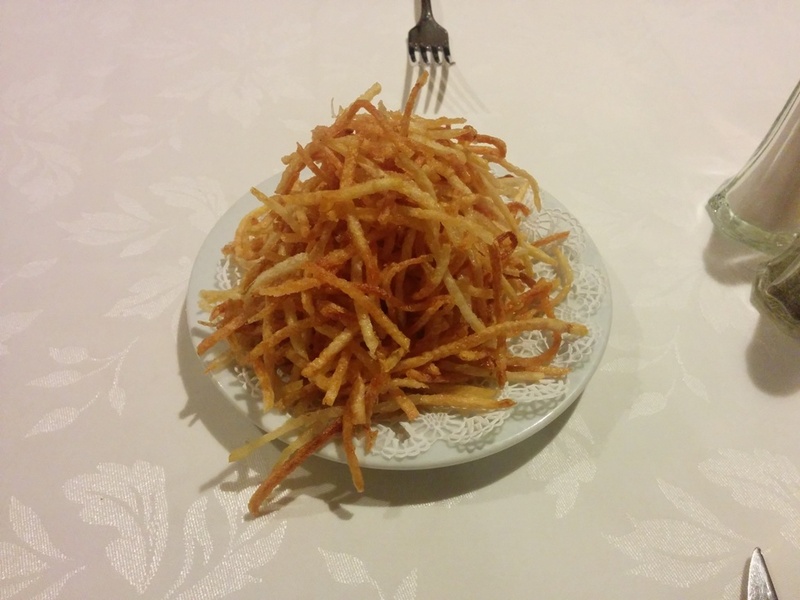 In addition to our entrees, we were also given complimentary Pommes Frites which tasted just like Hickory sticks. I had read about this in other blog posts and they were right! Couldn’t stop munching on these! When I made the reservation, the person on the phone asked me if we were celebrating a special occasion and I said yes. Looks like they passed on the note to our server because our dessert came with “Happy Birthday” written on it in chocolate! :) Props for great service! 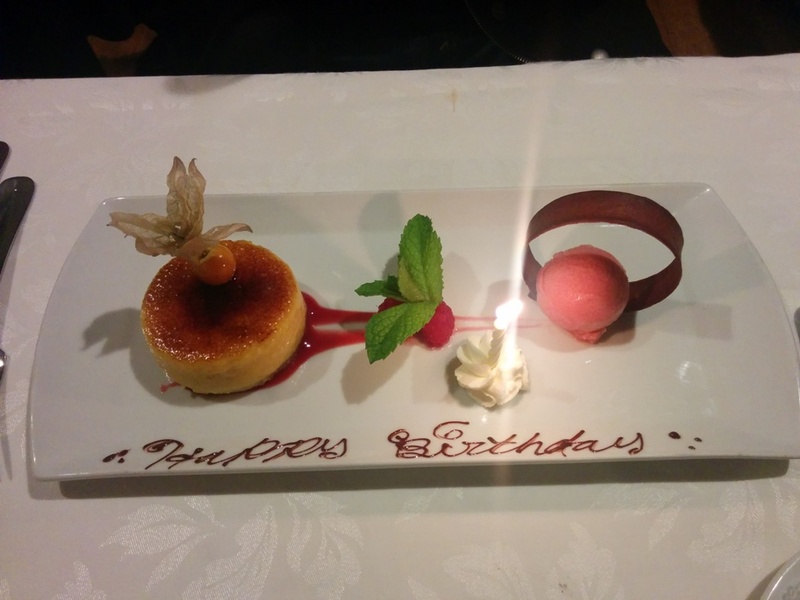 Our dessert of choice was the special of the day, I believe it was a Passionfruit Creme Brule with Raspberry Sorbet on the side. The server warned us that it was quite tart and as someone who loves sour things, this was super sour even for me! Nevertheless, I still enjoyed it. The raspberry sorbet felt sweet in comparison after. The service here was attentive as expected but for the food, I think I just picked the wrong entree despite studying the menu forever and being super indecisive… Also, I didn’t really want to spend $40 on the duck breast and foie gras but I probably would’ve been more satisfied (hopefully)! That just means that I have to come back again right? !